It's Thursday which means it is time to confess. Even though I wrote confessions the last two weeks, being gone made me feel like I missed out. I am still trying to catch up on reading all of your confessions. Grab the button below, write your confessions and come back here to link up. / that I missed the blogging community while I was gone. I was able to read a few blogs here and there, but not like I am used to. I am still so far behind on reading blogs, but I am getting to it. Who knew I would have so much work and emails to attend to after being gone two weeks?! / that I only bought myself one thing in Europe...a shirt and it was on sale for 8 pounds which is about $10.50. But now I want to buy all the Fall things now that I am back. / that ever since I had ginger ale on the plane to London (when I got super sick), I can't get enough of it. I am not a soda person, but ginger ale is my jam right now. / that I miss all the sleep I got in Europe. The first few days were a bit rough there, but then I settled into a nice routine of so much sleep. Now that I am back, sleep isn't coming as easy. 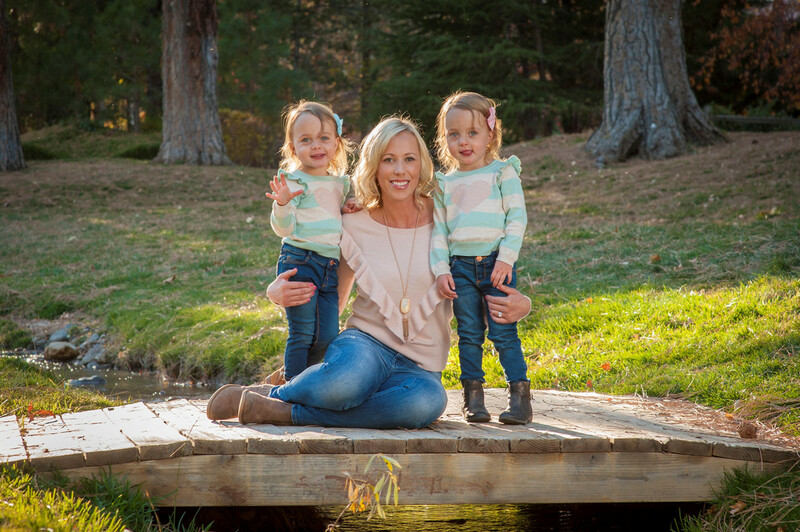 Between jet lag and the girls, I could use a few extra hours. / that I tried to mail out my mug out for my blogger exchange yesterday and the post office window was closed for lunch for an hour and a half or more. At lunch time. That is the time everyone goes to the post office. So not cool. Now I have to try to go today so it doesn't go out late. / that I had to get gas at lunch yesterday as well and I had to go inside to pay since the card system was down and I subsequently purchased Airhead Bites and ate the entire bag yesterday. Oops. / Avery did not want anything to do with me on Tuesday evening. I dropped Rory and the girls off at home and came in to help them get into their highchairs and bring everything inside. But Avery refused to let me put her in her highchair and was pushing me away screaming daddy over and over again. Broke my mommy heart. / Avery also woke up at 4 am on Tuesday night/Wednesday morning and proceeded to cry for daddy over and over again. / that I miss the amazing Indian food overseas. I swear it was the best of my life. No joke. I overate the three days I had it. No shame. / that I finally bought the girls Halloween costumes after going back and forth with my husband. Donuts won!! I can't wait to see the girls all dressed up and Trick or Treating. That's it for my weekly confessions. Don't forget to link up below. Oh Avery. I'm so sorry she was pushing you away. That's always so hard. :( Love the donut costume! They are going to look adorable. That Halloween costume is darling!! So sorry Avery was wanting daddy over you. Jack went through that phase (and still does when one of makes him mad) and it's heartbreaking but I just try to tell myself not to take it personally! Ugh that is SO annoying about the post office! Like really!?! And my Avery went through a phase like that too, but it lasted a long time! I swear, she didn't like me for like 6 months, ha! All she wanted was my husband. Now it's pretty equal again but you're right, it does hurt our mama hearts!! OMG I cannot wait to see the girls in that costume!!! Haha. I love all of those suggestions. I have an old cop costume, but I don't think it is appropriate. Haha. You are kidding! That costume is the best!! Yay baby donuts!! And girl the waking up at 4am thing. The donut costume sounds adorable! I hope y'all coordinate the costumes! You should have. I loved the pizza slice ones that I saw! Oh no, I hate to hear that Avery was pushing you away. It's always so hard when your babies want their daddy instead of you. Definitely heartbreaking. Girl, I totally saw those donut costumes at TJ Maxx today when I was on my lunch break!! They are just perfect! Finally, how did you package your mug for shipping? I'm sending mine tomorrow and I have no freaking clue how to package it so it won't break! My boys often cry for daddy and love and listen to him more than me. I think it's common for kids to do that with whichever parent they spend more time with. So I'm sure it's just from you being gone and will change. I know how heartbreaking it is though! Hugs! It definitely is. Just heartbreaking when you are gone for so long and then they don't want you. She was the sweetest to me all weekend too! I bet getting back into the sleep groove is definitely hard. So sorry about Avery. Ben does that to both of us. If one of us is holding him he'll often cry for the other. I know it is heartbreaking though. And, I LOVE the donut costume. Absolutely precious! 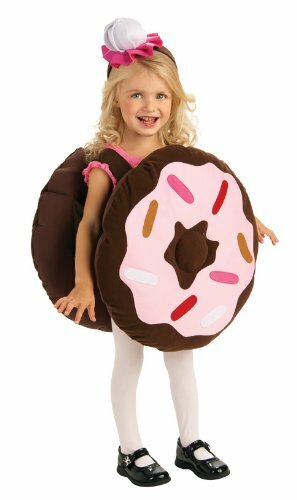 Oh my word, those donut costumes are too cute! They are going to look adorable! Ahhh they're going to be so cute in their donut costumes! Can't wait for pictures of that (or video--that IG video of them giggling last night killed me)! I always drink ginger ale on planes, and pretty much never otherwise. And it's not because I get motion sick. I just like it and they have it and it's free. haha! Super random. Oh my gosh that costume is just about the cutest thing ever!! I'm all about diet ginger Ale!